Do you worry about taking transit to work and not being able to get home in case of an emergency? We’ve got you covered! 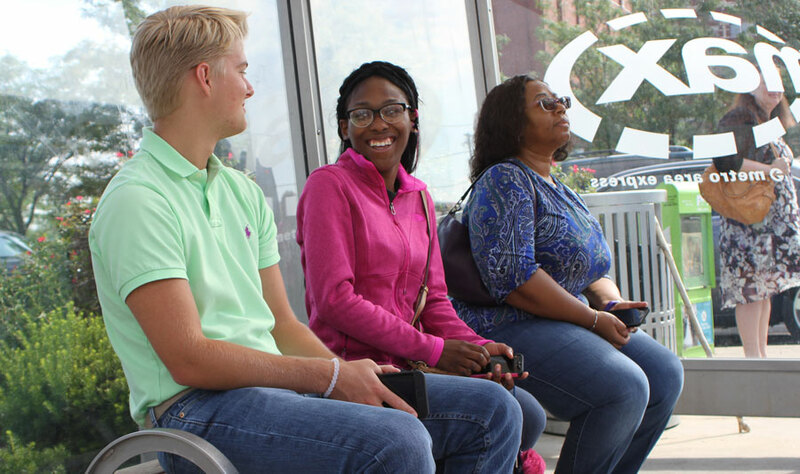 The Guaranteed Ride Home program is now available to all riders who commute to work via transit, carpool, vanpool and bicycle on a regular basis. The service is good for rides 24 hours a day, seven days a week, up to twice per year. In order to qualify for reimbursement, you must be confirmed as a registered participant of the Guaranteed Ride Home program at least three days before the trip date. This service is provided by RideshareKC. Click here to register. You can use the Guaranteed Ride Home to get home from work in case of a personal or family emergency such as illness, or if you must work unexpected overtime. You can take up to two trips per calendar year. Simply schedule a ride through a service listed on the RideshareKC website, submit the form for reimbursement, and they will cover the cost of the trip. If you’re not able to pay for your trip up front, contact RideshareKC at 816-842-7433 between 8 a.m. and 5 p.m., Monday through Friday. They will pre-register you, and provide an alternative way to schedule your trip.